Burglar Alarm Installation in York. The roof and guttering should be kept in a good condition in order for the property to remain weatherproof. 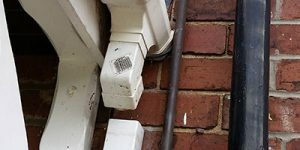 Gutters are designed to direct any rainwater to the drains and if they fail this rainwater may be directed into your home causing damage to your timbers, brickwork and plaster. 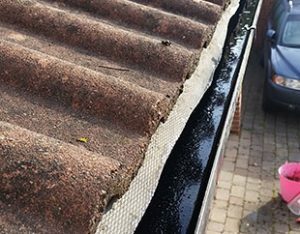 Blocked gutters can become heavy from the extra weight of dirt and standing water which can cause your guttering to pull away from your fascias, and in some cases fall from the house completely. Leaking gutters or water overflowing from blocked gutters can run down walls causing them to become damp. To avoid any expensive damage, it is important you maintain your guttering and fix any leaks or issues quickly. 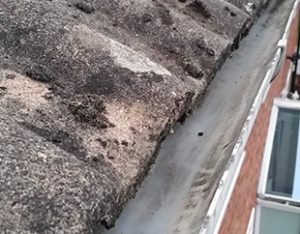 Adhoc Handyman Services York offer a gutter cleaning and repair service. Should it be required, we can also place new guttering and drainpipes to match your existing colours and styles. Please call us on 07878 256771 for a no obligation quote. 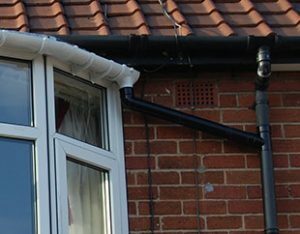 We offer guttering repair in York and surrounding areas. 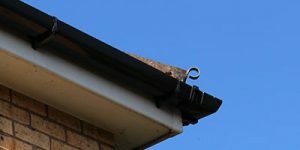 Most failed guttering can be repaired relatively cheaply and quickly and replacement guttering parts are matched into the existing style and colour. Note: A gutter which is leaking water may not need repairing – it may just need a clean – we can provide both services for you. Where a repair is not sufficient or you would like to change the style and/or colour of the guttering we can provide a new guttering service in York to match all styles and colours. Guttering comes in different colours such as brown, black, white and grey and different styles of modern square and round. Where traditional cast iron guttering is required, modern plastic guttering is available to match this style. Gutter cleaning is something which should be considered a regular service. 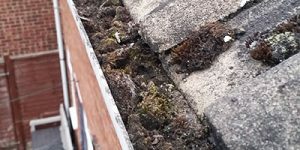 Neighboring trees shredding leaves in Autumn and north facing roofs are often prone to moss build (as they do not have a lot of sunshine) are the two main reasons for a gutter which requires cleaning. This issues will eventually lead to a clogged gutter. Cleaning the gutter regularly is the only real option to avoid the water overflowing and causing damp on the walls of your home. A sample of the guttering jobs we have completed. To see more work, please visit our latest projects pages.